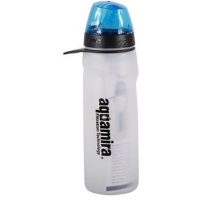 Aquamira Camp & Hike Frontier Flow Green Line Filtered Water Bottle 67015. This go-anywhere drink-anywhere water bottle accepts any Series II RED Line (Virus) or GRN Line (Bacteria) replacement filter. With drinking water, purity is key. Ideal for travel and outdoor pursuits, the Aquamira Frontier Max in-line filtration system connects directly to hydration bladders and gravity flow systems. 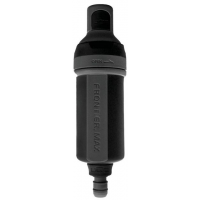 Aquamira Camp & Hike Frontier Max Filtration System-Black 877267000186. 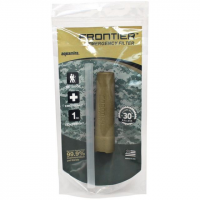 Aquamira Camp & Hike Frontier Series II Green Line Replacement Filter 67027. 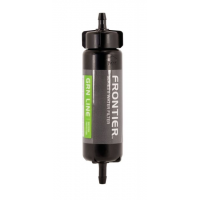 The Green Line Bacteria Filter provides cost-effective protection for recreation and use with backcountry water sources where viruses are not a concern. 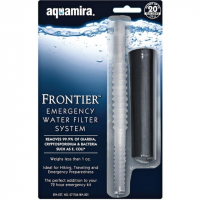 Aquamira Camp & Hike Frontier Series II Red Line Replacement Filter 67028. Ideal for international travel emergency and high-risk water sources. 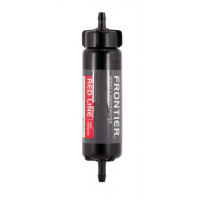 The RED Line filter provides cost effective protection for recreation and use with international water sources. 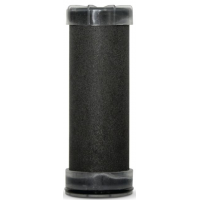 Take your outdoor adventures further with the Aquamira Series IV Bacteria Filter replacement cartridge. It provides protection from water contaminants that you may encounter out on the trail.